I mourn and rage with India for the assassination of respected journalist-activist Gauri Lankesh. Progressive and principled, she upheld the journalistic legacy of rigorous advocacy for human equality and rights in the spirit of India’s freedom-fighting journalists Tilak, Gandhi, Vidyarthi, Bhagat Singh who would be desolate that the unity of Indian nationalism which they advanced has been hijacked by the brutality, extremism and divisiveness of Hindutva. I urge the Modi government to energetically bring the assassins to justice and to take immediate steps to bring harmony to India’s peoples by ending its support of the violent Hindutva movement, by supporting freedom of the press, by respecting dissent against injustice, and eliminating impunity enjoyed by police and military implicated in civilian oppression. 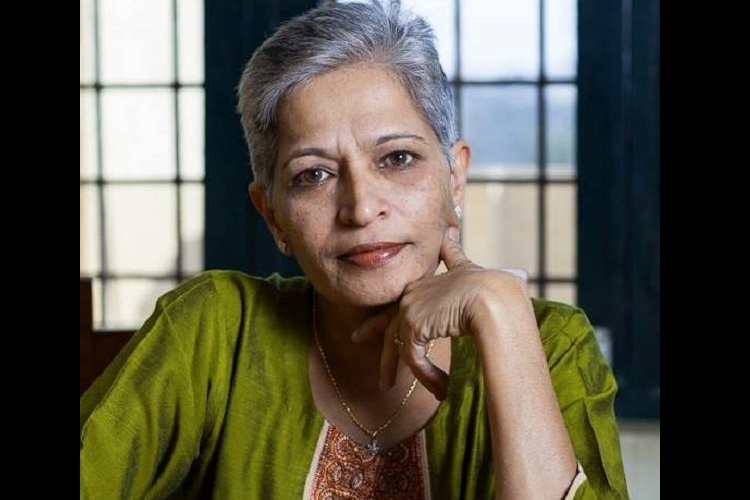 The assassination of Gauri Lankesh has not extinguished her light, for her spirit is a solar flare enlightening the will and courage of thousands, of millions of Indians who will fiercely challenge fascism that threatens the ordinary everyday goodwill, peace and harmony between all Indians.